Bataan is a province sitting on a peninsula of the same name in the island of Luzon. It faces the West Philippine Sea (also known as South China Sea) on its west side, separating it from Manila Bay which is to its east. Bataan occupies a portion of Central Luzon, about 2.5 hours via car from Metro Manila. 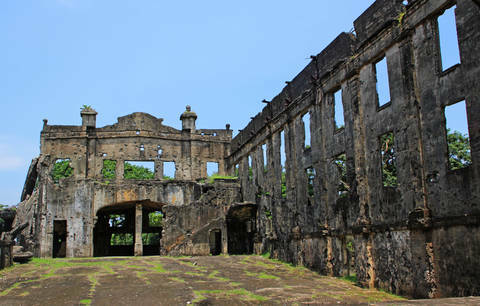 Although Bataan is widely known for its role during World War II as the last front of Filipino and American soldiers before falling into Japanese hands, the province is also an emerging destination for ecotourism in the region. Along with the shrines dedicated to Filipino courage, there are springs, waterfalls, turtle sanctuaries and bird-watching sites. And of course there are pristine beaches for the die-hard sun lovers. Balanga, a second class city, is the province’s capital and it has in recent years become an important hub of commerce in Central Luzon. The city has several bird-watching sites like Sibacan, Puerto Rivas Ibaba and Tortugas. Balanga City is also an ideal place to find people who can point you to Mariveles, Morong, Orani or Pilar. These four municipalities are home to several worthy attractions that every visitor will appreciate. Located on the southernmost tip of the Bataan Peninsula, Mariveles is a town of rustic beauty highlighted by the coast of Camaya. While this strip of white sand is presently under-developed, recent interest on this area prove to the promising. Several companies have taken interest in building premium resorts and residential buildings along the shore to invite more local and foreign visitors. The stunning beauty of the surrounding mountains facing a backdrop of clear skies and blue waters makes for a relaxing vacation away from big city hassles. Mariveles’ lure is intended for tourists who are looking to invest in properties at the premium resorts. Visitors are always welcome to take a look, stay a little and possibly buy a home they can escape to. Morong, Bataan is a municipality facing the West Philippine Sea and is one of most-visited parts of the province. The town has been a sanctuary for Vietnamese refugees during the Vietnam War, resulting to a number of monuments and shrines dedicated to them. But Morong is best known for the pawikans (marine turtles) that thrive in its shores. The smallest marine turtles in the world (Lepidochelys Olivacea) which are already endangered can be found in Nagbalayong. The town holds the Pawikan Festival every November. Highlights of this event include the release of turtle hatchlings into the sea, street dancing, parades and coastal clean-up activities. Morong is also known for its enchanting beaches and resorts along its shoreline. Some of the well-known beaches in the area include Anvaya Cove and Minanga. Another must-visit town in Bataan is Pilar. While this part of town evokes harrowing memories of the war, the reminder of the courage of American and Filipino soldiers is also located here. The Dambana ng Kagitingan stands proud in the Mount Samat National Shrine as a tribute to the fallen soldiers. The park is an interesting attraction especially for travelers who are interested in stories of the war that strengthened the alliance between the Philippines and the United States. The town of Orani also has a lot to offer to tourists. Being an agricultural town, Orani’s main focus is in providing the best of culinary delights to its visitors. Fresh seafood (prawns, crabs, tilapia and milkfish) are major products, as well as coffee and rice. 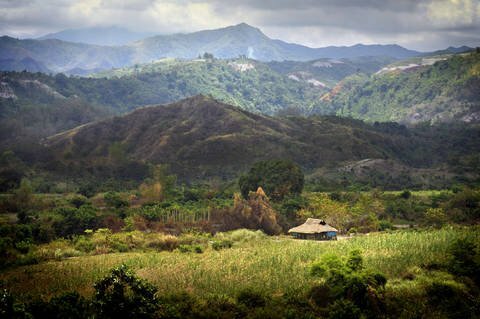 Orani’s small-town charm, location and modern amenities make it an ideal base for exploring the entire Bataan Peninsula. Food in the province is highlighted by several delicacies. Being almost entirely surrounded by water, seafood can be expected to be always fresh and available in most towns. Tuyo (dried fish) is very popular among locals and is something that tourists should also try. It goes well with tomatoes, vinegar and rice. And since Bataan is also agricultural, you can also find special versions of the bibingka (rice cakes), pastillas (a milk-based pastry) and suman (glutinous rice wrapped in coconut leaves). There are a lot more reasons why Bataan should be on your list of places to visit in the Philippines. The province has a charming mix of historical sites and ecotourism destinations that cater to travelers of varied interests. Sunbathe in the beaches, see the baby turtles, take trips down memory lane and indulge in sweets produced by the region. Do these and a lot more in Bataan!